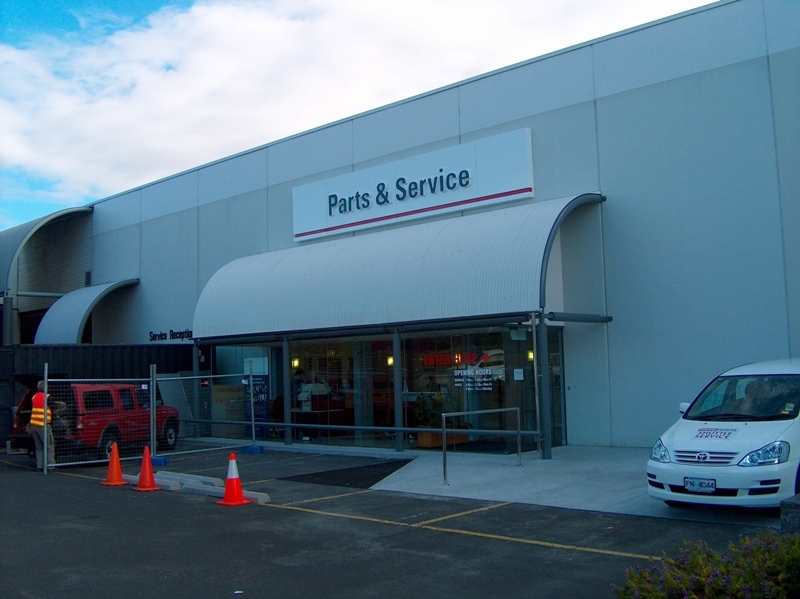 With rapid growth of the Toyota brand, an expanded service and parts reception area within the existing building was required. Completed in 2008, the project comprised of a number of stages. A new used car sales and delivery centre was constructed. The service centre and car sales office were redeveloped. The storage areas in the spare parts area was also upgraded. Facilities include offices, staff facilities, reception and guest lounge. Construction consists of a steel framed and fully glazed entry structure opening into a tiled reception area.